The polylogarithm function (or Jonquière's function) of index and argument is a special function, defined in the complex plane for and by analytic continuation otherwise. 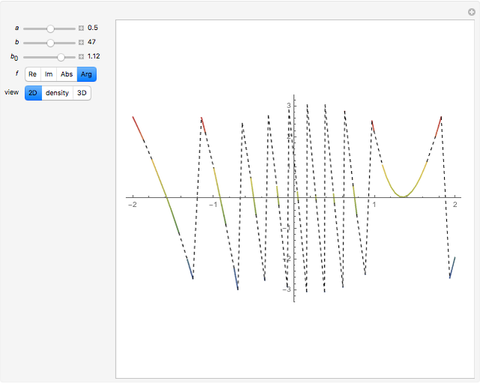 It can be plotted for complex values ; for example, along the celebrated critical line for Riemann's zeta function . The polylogarithm function appears in the Fermi–Dirac and Bose–Einstein distributions and also in quantum electrodynamics calculations for Feynman diagrams. 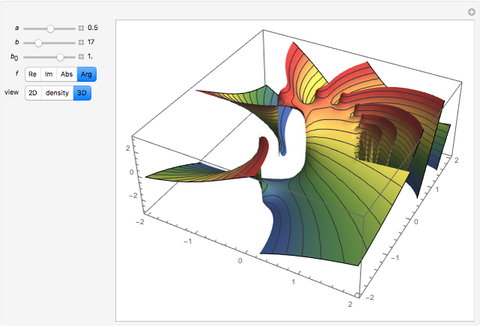 The 2D plot shows the function , and the 3D plot shows . L. Vepstas. "Polylogarithm, The Movie." (Nov 20, 2014) linas.org/art-gallery/polylog/polylog.html. T. M. Apostol. 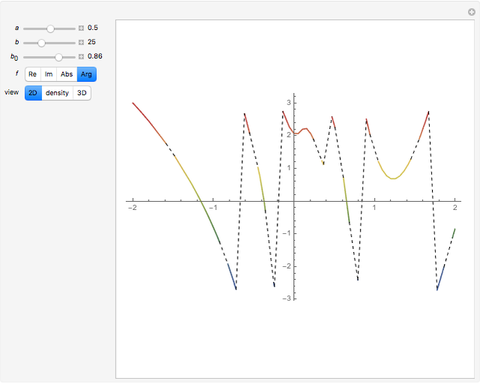 "Zeta and Related Functions." 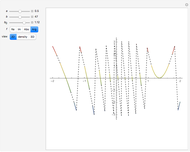 NIST Digital Library of Mathematical Functions, Version 1.0.9, Release date 2014-08-29. dlmf.nist.gov/25.12. Souichiro-Ikebe. "Polylogarithm Function." 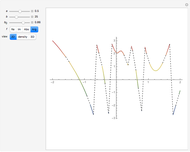 (Dec 4, 2015) Graphics Library of Special Functions (in Japanese). http://math-functions-1.watson.jp/sub1_spec_040.html.